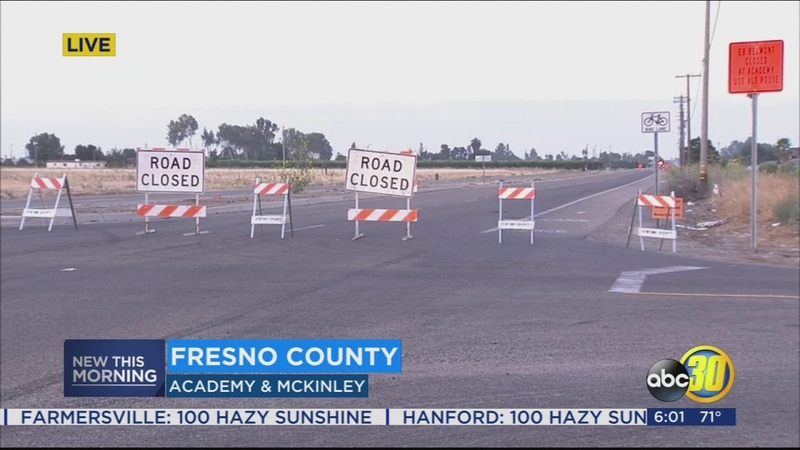 FRESNO COUNTY, Calif. (KFSN) -- PG&E crews are working to repair power lines and the roadway remains closed following a crash in Fresno County where a vehicle struck a power pole. The crash happened just north of Sanger near Academy and McKinley around 3:30 this morning. The CHP says the 23-year-old driver from Sanger was on Academy when he crossed over to the other side of the road and hit the power pole.